Some people think that just because you no longer eat meat that you can no longer enjoy a BBQ. 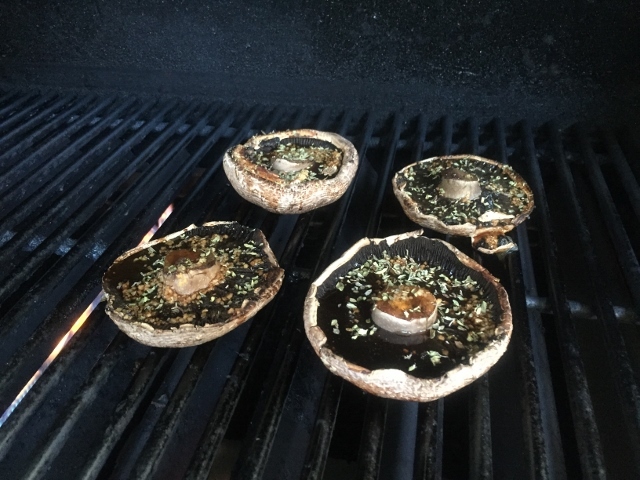 It isn’t so – we can cook so many plant foods on the BBQ grill. 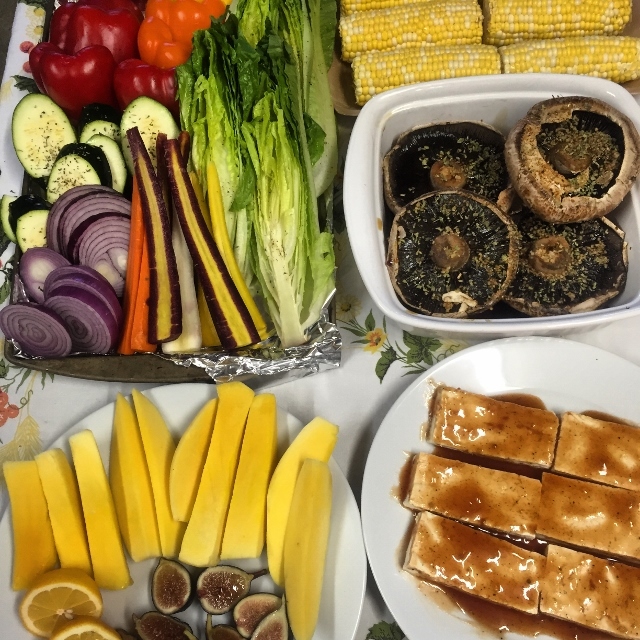 Everything from the humble zucchini, portobello mushrooms, eggplant, bell peppers, onions, green onions, baby peppers, corn on the cob, romaine lettuce, veggie burgers, potatoes, marinated tofu and don’t forget the fruit. Pineapple, fresh figs, mango and peaches are amazing when heated up on the grill. 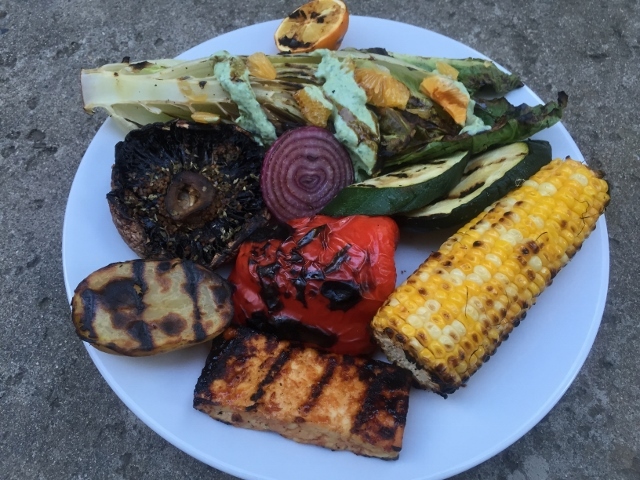 Light up the backyard BBQ grill and toss on some of your favorite plant foods and you will be delighted with the results! 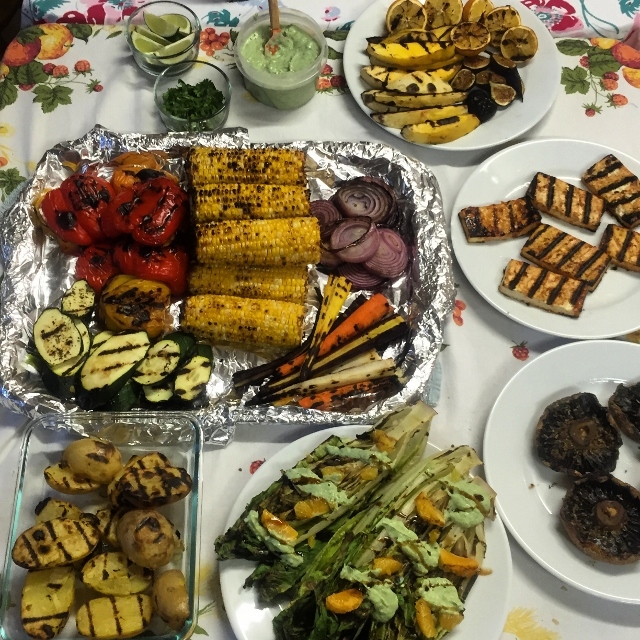 This was our first plant based BBQ experiment back in 2015 but I never blogged about it. We were in the middle of our kitchen update and all of this food prep took place in my garage! Hubby Tom is a master on the grill so I only have to prep the food and he takes it from there! The trick is to prep all the food in advance so you are ready to go when the grill is hot. 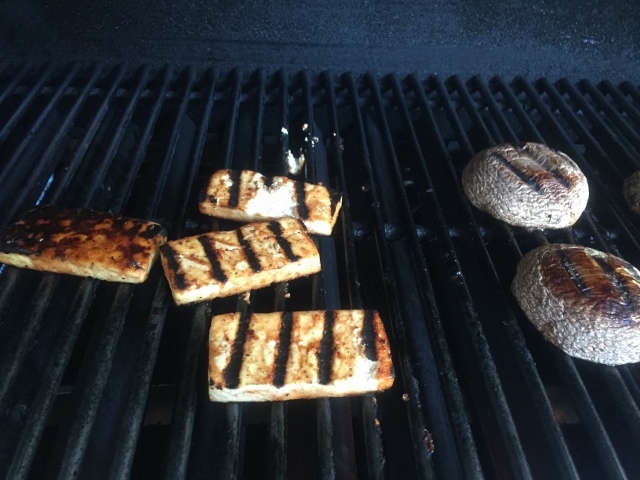 The tofu was marinated in some BBQ sauce and the portobello mushrooms were marinated in balsamic vinegar. You can use fresh lemon juice, lime juice, orange juice, pineapple juice, vinegars and no salt seasonings to add flavor. Here is an easy but oh so tasty BBQ sauce recipe that was created by one of my fellow Ultimate Weight Loss buddies! Place all ingredients in a medium sized bowl. Stir with a fork or whisk vigorously until smooth. I buy these colorful carrots at Trader Joe’s and they make me smile! They are so good grilled and so pretty. Our son in law Esau taught us how to grill corn and then season it with fresh lime juice. We were sold after the first bite. Its so easy and yet insanely delicious. It could be a meal all on it’s own. Click here for Esau’s Grilled Corn recipe. If you don’t have a BBQ Grill you can use your air fryer. We love our Breville Smart Oven Air! 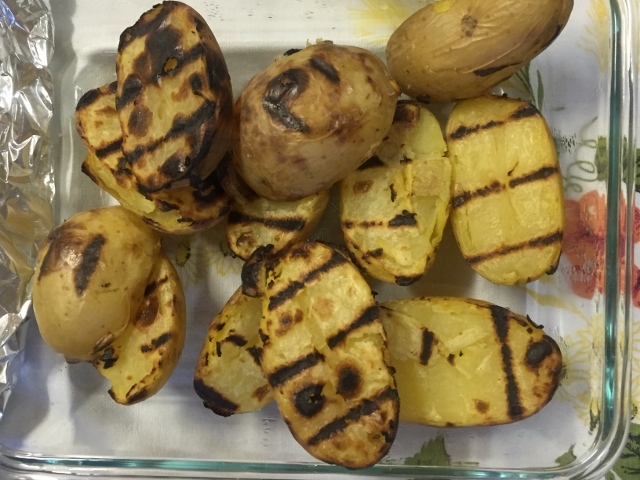 Here is a blog post about making a meal in the Breville Smart Oven Air. Bell peppers become so sweet when grilled. I have now discovered the mini peppers and they are even sweeter. Slice some of the leftovers and add them to your next salad. 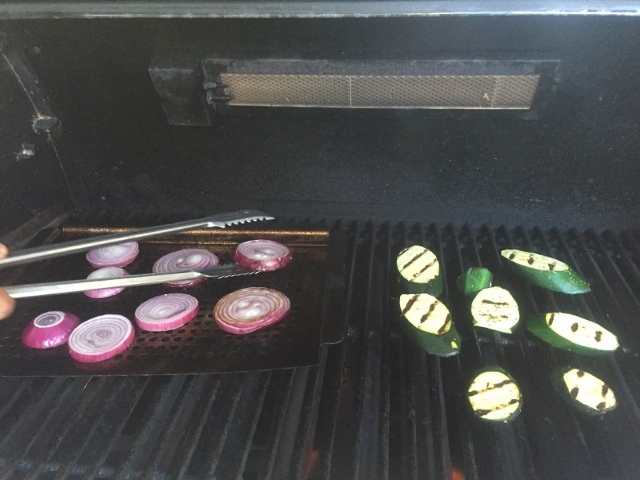 Red onion and zucchini even become extra tasty after a few minutes on the grill. All the natural sugars come to the surface and the flavor is enhanced. Hubby Tom loves it when we have something that he has to cut with a knife to eat and these big fat juicy portobello mushrooms fit the bill! Marinate in some balsamic vinegar for flavor. Add your favorite fresh or dried herbs. Even non tofu lovers will like it grilled! It becomes a little chewy and I love the grill marks! Marinate in fresh fruit juices or a little homemade BBQ sauce. Tofu is a higher fat plant food – not good for weight loss but I do enjoy it once in a while on maintenance. 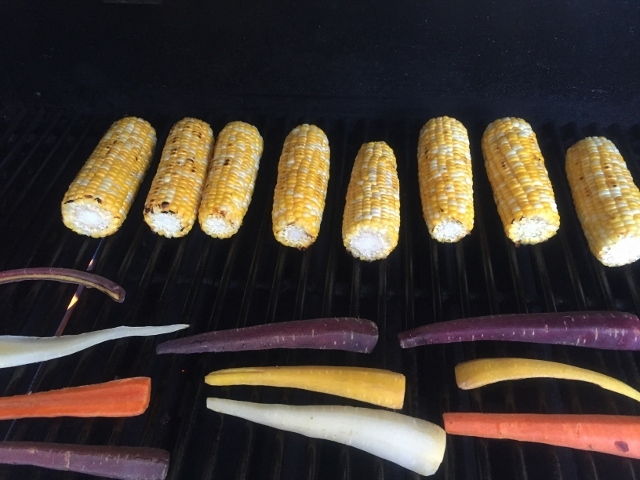 Hubby says you need to keep a close watch on the veggies when grilling. Even romaine lettuce can be grilled – I know it sounds crazy but it’s actually very good! I topped it with some little mandarin slices, balsamic vinegar glaze and a little dressing. Pretty fabulous. The dressing is a recipe called Green Sauce by Chef Del Sroufe and I make the version without the tahini – just increase the cilantro and it’s fabulous. It is made with Mori Nu Silken Lite Tofu which is a little higher fat plant food. If you are in weight loss mode you might prefer my Creamy Balsamic Dressing instead. It’s also pretty darn amazing and gets rave reviews! These were previously cooked potatoes that I made in the Instant Pot pressure cooker because my kitchen was under construction and I had no oven. 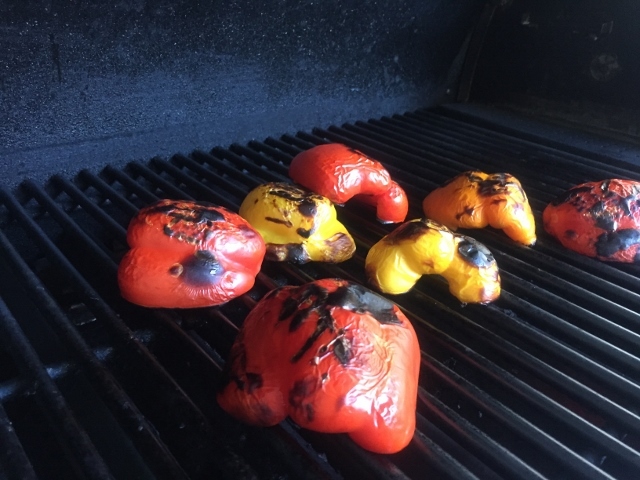 They were simply cut in half and heated up on the BBQ grill. Last but not least are lemons cut in half – the juice is lovely squeezed over the grilled veggies or over your salads. 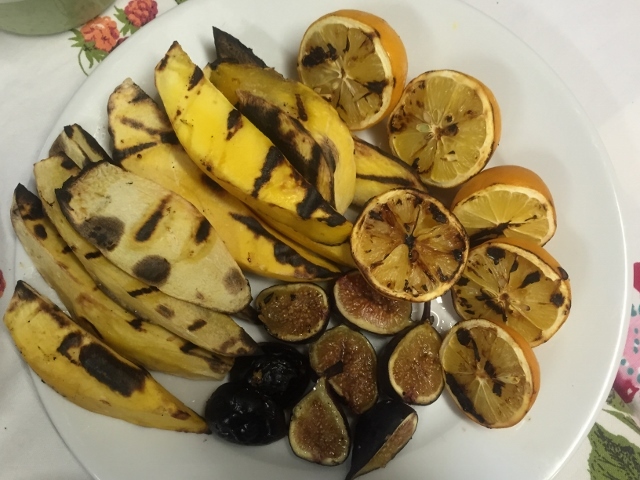 Fresh figs and mango slices are a treat for dessert after being warmed up on the grill. Don’t forget pineapple and peaches too! This is what my plate looked like – all healthy delicious plant foods! A feast that is filled with foods that love you back! If you still need a few other ideas for taking something to a BBQ – pot luck I do have some suggestions. One thing I missed was baked beans until I found a recipe on the Furhman boards and adapted it a little to resemble an old favorite. 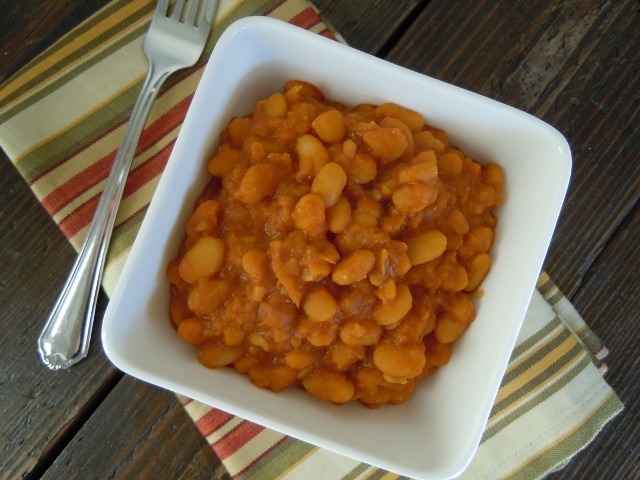 Chipotle Baked Beans uses an unusual ingredient that makes them extra special. 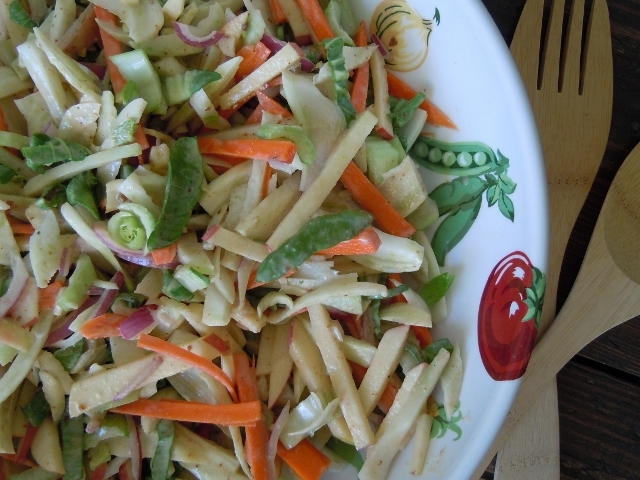 This is a lovely crunchy cold salad perfect for pot lucks! 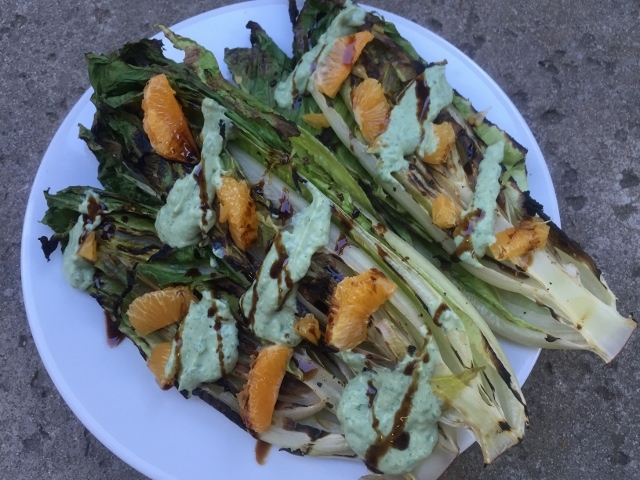 Click here for the recipe Bok Choy Fennel Salad. These are not cooked on the BBQ grill but they give you the flavor of having been! 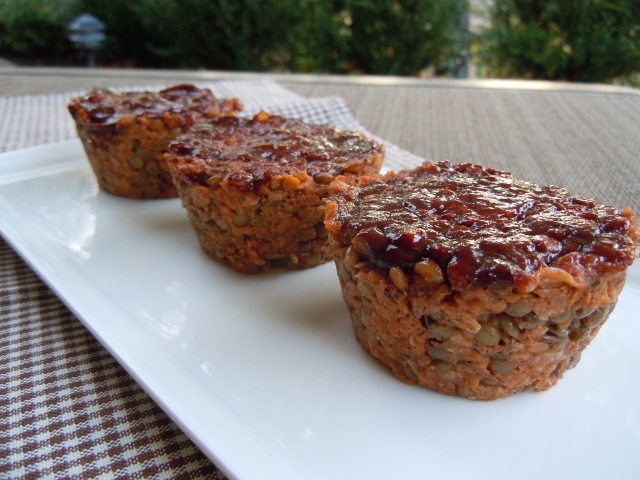 BBQ Lentil Loaf Muffins. This salad is portable and awesome for a pot luck or backyard BBQ. 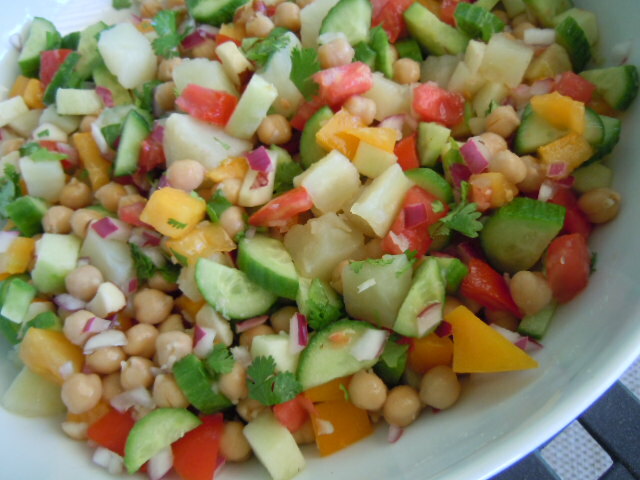 Greek Chickpea Salad. Watermelon is always well received at a BBQ pot luck but it sure is fun to serve it in a new way. 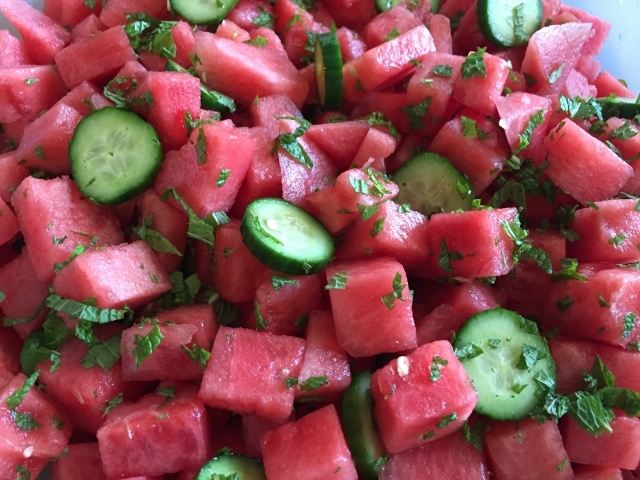 This is Chef AJ’s Watermelon Salad and its amazing. There are so many amazing plant based recipes that you can make and share for your family get together’s it was difficult to narrow the list to these. I am always amazed when people think that following a plant based diet is limiting and they wonder what we eat! The possibilities are endless. Enjoy the time with family and friends at your next BBQ! Feel free to share your favorite whole food plant based recipes for BBQ’s and pot lucks. Previous Post: « Another Cooking Webinar from Chef AJ! Everything looks great! How do you prevent items (especially tofu) from sticking? Hi Theresa, well the tofu did stick a little bit, the BBQ sauce did help as a release agent but there was some sticking. Our grill if several years old and the grates are well seasoned I don’t know if that helps keep things from sticking now that we only grill plants or not! Tami you’ve outdone yourself. Again! This spread looks just unbelievable. Every dish looked better than the last. I happened to buy many of the ingredients I’d need to pull this off for this weekend. Thanks for the inspiration! Which kind of tofu do you use for this? Extra firm? Hi Christin – thank you for your kind comments! Yes I did use extra firm organic sprouted tofu – otherwise it will just fall apart. The leftover veggies are delicious chopped and served over rice, greens, quinoa, salad or potatoes. The grilled romaine is so yummy! I would never have believed it but once I tried it I was sold! Have a beautiful relaxing weekend. Everything looks fabulous, Tami! ‘can’t wait to try these wonderful recipes and ideas– thank you so much! You are welcome Edith – have a wonderful weekend! I am so glad you like this menu and are sharing the recipes. Thank you so much.